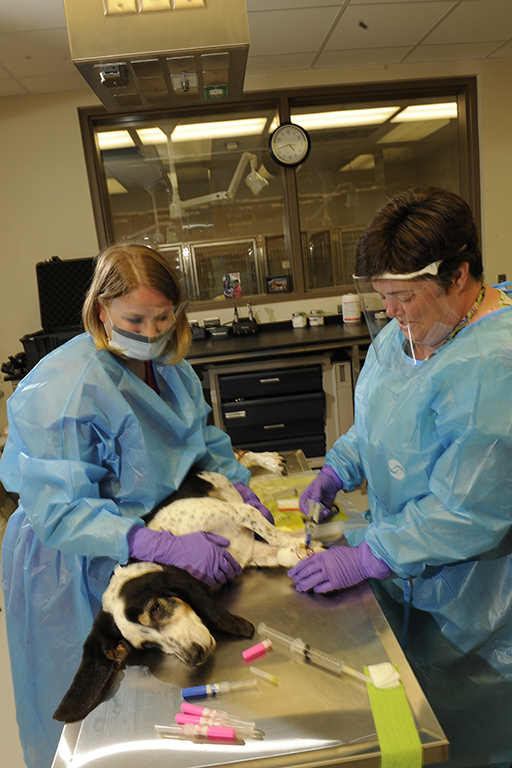 A uburn University Veterinary Teaching Hospital is offering expanded oncology consultation services for practicing veterinarians. Veterinarians are now offered a more extensive consultation than what has been offered in the past by faculty clinicians. Through this expanded service, oncology faculty clinicians will have access to detailed information from veterinarians requesting the service. The new service is an email and/or fax-based system in which veterinarians can submit the detailed, pertinent information for veterinary faculty clinicians to review. Submissions can be made online, or through a printable PDF file which can then be faxed to the service. Previously, the Radiology Service has been the only service to offer an expanded consultation; other services are in the process of being added. While most of the specialty services have offered ‘over-the-phone’ consultations, the new format for submission will enable better documentation, analysis and archival ability for both the veterinarian and the oncology service. The Oncology Service will be providing a complete written response returned to the consulting veterinarian within 24 hours. The Oncology consultation is $50 per new consultation and $10 per ongoing consultation. The Oncology Service will continue to provide phone consultations for referrals and for patients that have been seen recently at the Bailey Small Animal Teaching Hospital; those that are not receiving ongoing care will be charged for the consultation.